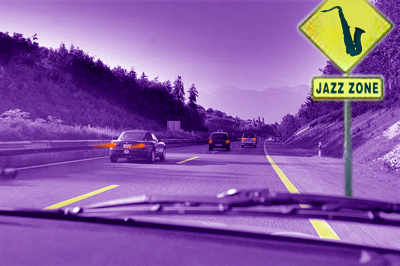 The jazz group known as "Jazz 443" is a new fresh versatile group who named themselves after highway 443 which leads right to the town where they live called "Modiin". Their styles vary from cool, bop, and classical jazz to blues, funky, not to mention Latin and let's not leave out even a bit of "rap". The group has given concerts as a tribute to the music of Ray Charles. They also give concerts concentrating on the rhythms of Latin jazz which has become very popular. "Jazz 443" began performing together in 2003 in a casual style like "bring a friend along with you" until they formed a group of 6 musicians and achieved the harmony and style that suited them. Later on they added the talented Sharon Sharr as their singer.